Furry paw print ribbon adds a really nice touch when making dog cards for dog lovers. 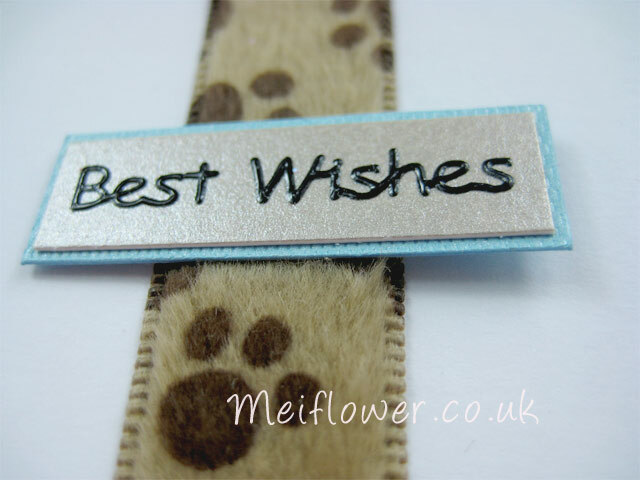 Use one of our fantastic range of fabric dog embellishments when making your dog greeting cards. This entry was posted on Monday, January 24th, 2011 at 8:38 pm	and is filed under . You can follow any responses to this entry through the RSS 2.0 feed. You can leave a response, or trackback from your own site.